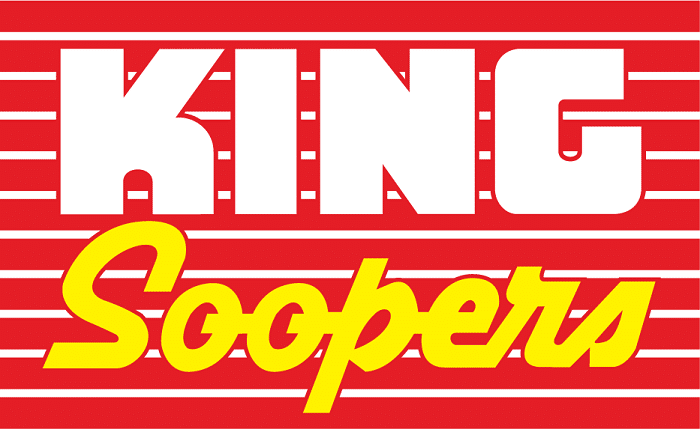 King Soopers delivery is here to complete your grocery shopping needs. In today’s world, people are busy. They work, go to school, take care of children or other adults, and at the end of the day, fall into bed exhausted from the daily activities. At this rate, sacrificing any precious time for mundane things like grocery shopping seems out of the question. As more products and services become available online, it is only natural that grocery shopping was headed in that direction. Today, it is now possible to shop online for groceries and then have them delivered either to your car or your home for a small convenience fee. For many, they are saying it is well worth the cost to avoid the physical grocery store. King Soopers delivery is increasing in popularity among all demographics at an overwhelming rate, but how exactly does it work? Currently, King Soopers delivery is available in the Denver, Colorado and surrounding areas of Aspen Park, Brighton, Castle Rock, Colorado Springs, Conifer, Fort Collins, Greeley, Evergreen, Longmont, Boulder, Loveland, Monument and Pueblo. Denver includes: Arvada, Aurora, Broomfield, Englewood, Golden, Highlands Ranch, Lafayette, Lakewood, Littleton, Louisville, Parker, Superior, Thornton, and Wheat Ridge. Residents in these areas are able to go online to the King Soopers delivery site, called HomeShop, and select from thousands of products including produce, meat and seafood, baby, canned goods, health and beauty, pet supplies, and more. Each item is added to their cart as they need and then at total is provided at checkout just like a physical grocery experience. The groceries are then loaded onto a truck and send out for delivery. Drivers deliver the items directly to the door of the purchaser where all they must do is put them away. For the sake of time, this service is a huge help in alleviating the burden of walking the aisles and navigating through the crowds. King Soopers Delivery service does have some restrictions. Since a person is shopping the store and then in turn, delivering items to a residence, the hours available are from 7:00am-7:00pm for delivery. Items can always be added to your cart, however once you click submit, the delivery times are shown with a two hour window. There is even an option for a 30 minute delivery if you need some items immediately. This service offers a couple of different ways to order, customers can go online and place items into their cart and then once they are satisfied with their cart, click order and make their choices on delivery times. For customers who are less technically inclined, there is a phone number they can call which connects them to a live person who can take their order and tell them the delivery options. During this call, customers can select products and delivery times as well as offer special delivery instructions for the driver. The phone hotline is available Monday through Friday from 7:00am to 7:00pm. At this point in time, King Soopers delivery is not a free service and customers to incur a convenience fee. Each order for delivery must meet the order minimum of $50.00 to qualify for delivery. If a customer attempts to place an order below the minimum order amount, they are notified that the order cannot be delivered until the order minimum is met. Once a customer meets the order minimum, they are then asked to choose a delivery window. Customers are offered a few different options. For $10.95, King Soopers delivery will bring the items to your home in a standard two hour window. If a customer needs the items quicker, a 30 minute window is available for a charge of $15.95. Great news for first time customers; King Soopers will pick up the cost of your first delivery service for a value of $10.95. Another option from King Soopers delivery is to order and pick up your items at the store. Customers choosing this option pay a $4.95 service fee and are offered various available 30 minute windows. As a new customer, King Soopers will offer $10 off each of your first 3 pick up orders. With this service, customers drive up to a designated area and present their receipt to the cashier who comes out to their car. The cashier then loads the items into the car and the customer can be on their way. This is great for people with sleeping children or who are in a major rush to get home. In effort to best serve their customers, King Soopers delivery offers options for grocery, even planning, floral, and beer, wine, and sprits. The grocery options is available for customer delivery to the Front Range of Colorado and Cheyenne, Wyoming. Event planning specialists work with customers to prepare party platters, box lunches, and other holiday or special event baskets. These can then be delivered at the standard rates during normal delivery times. Customers ordering floral arrangements are charged an additional $10.95 fee and delivery times are from 8:00am to 5:00pm. Customers can order outside the King Soopers delivery area on kingsoopers.com. Finally, customers who wish to order beer, wine or sprits can have them delivered to their door for the standard $10.95 delivery fee. King Soopers also offers these customers a savings of $10.95 on orders of $100.00 or more for this service. For customers who have difficulty getting to and from the store or those who wish to avoid the crowds during the holiday season or other times, this is a great option. There are many ways to save money using King Soopers delivery such as the King Soopers card and also using coupons. Customers can take advantage of this delivery service for the ultimate convenience and be thrilled with their new shopping experience. Hey Buddy!, I found this information for you: "King Soopers Delivery 101: Areas, Hours, Fees". Here is the website link: https://all2door.com/king-soopers-delivery/. Thank you.